Welcome to another installment of If My Book, the Monkeybicycle feature in which authors shed light on their recently released books by comparing them to weird things. 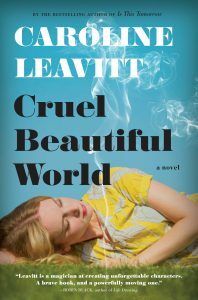 This week Caroline Leavitt writes about her latest novel, Cruel Beautiful World, just published by Algonquin Books. 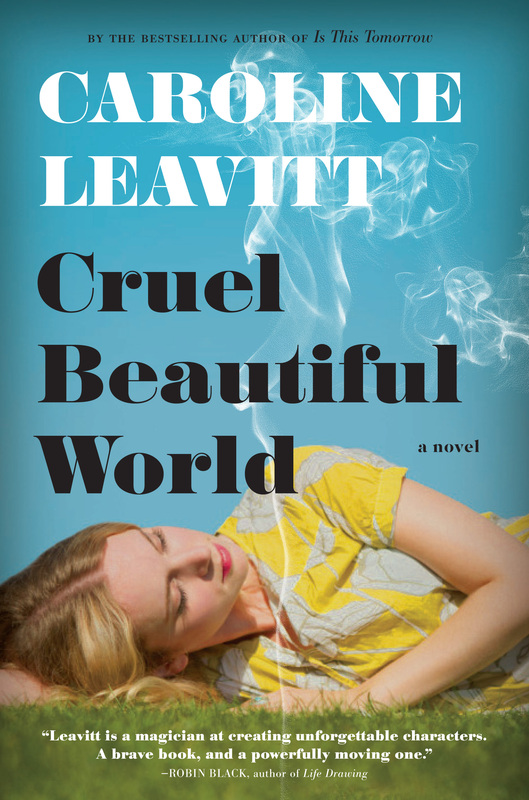 If Cruel Beautiful World were a dental procedure, it would surely be a root canal, digging deep to get out the infection, and maybe there would be a little bit of laughing gas, too. And best of all, when the procedure is done, you can have a healthy tooth. Hopefully. I guess it depends on the dentist, and in my novels, you never know. If Cruel Beautiful World were a bad habit, it would be chewing your fingernails down to the quick so that you have to wear Band-Aids all the time just to stop the pain. You could, of course, get those cool press-on nails with literary sayings on them, but you would know you were just covering up the truth, now wouldn’t you? If Cruel Beautiful World were a serial killer, it would be Ted Bundy. Handsome, charming, smart and all gorgeous surfaces, but you never know if you can trust him and you’d always wonder if he really had a broken arm or not as he was beckoning you to his car, which was stocked with rope and duct tape. If Cruel Beautiful World were a pasta, it would not be Fusilli Bucati, which is twisty and long and hollow, but it would be Fusilli, which is twisty and solid. If Cruel Beautiful World were candy, it would have to be Sky Bar, my favorite candy ever. It’s a Boston candy, like my book. There are five parts to it, like the many voices in my novel, and every part is different and delicious and probably dangerous, too, if you eat too many. If Cruel Beautiful World were a knock knock joke it would be: knock knock. Who’s there? Raw. Raw Who? Rotten Banana. Because it’s not really a funny novel, though I have to say that this particular knock knock joke gets funnier every time you repeat it. Really. Try it. If Cruel Beautiful World were a waitress, she’d be snapping gum to give herself bravado because she’s really terrified she’s going to give the French fries to the people who wanted green beans, and vice versa. And of course, she desperately needs this job in order to support her toddler and keep out of the way of her deadbeat ex. If Cruel Beautiful World were a lipstick it would be blood red. Caroline Leavitt is the author of 11 novels, including the New York Times Bestsellers Pictures of You and Is This Tomorrow, and her latest, Cruel Beautiful World. She reviews books for the San Francisco Chronicle, the Boston Globe and People Magazine, teaches novel writing online at Stanford and UCLA Extension Writers Program and privately, and she spends way too much time clicking on links about celebrities. Visit her at www.carolineleavitt.com.